A must for birthday parties. Kids have as much fun with the easy assembly of the boxes as receiving and storing the goodies. 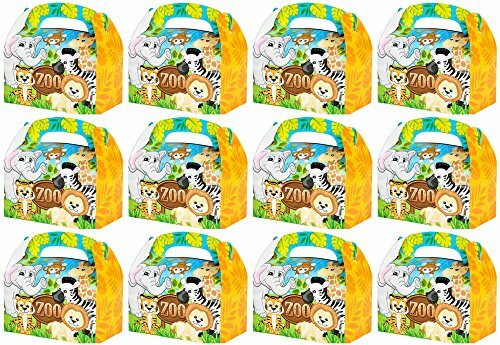 This collection of treat boxes takes on the look of a zoo animals theme with a bright design. They make great landing spots for party prizes. Some assembly required. Great for birthday parties and other themed treat bags. If you have any questions about this product by SK Novelty, contact us by completing and submitting the form below. If you are looking for a specif part number, please include it with your message.